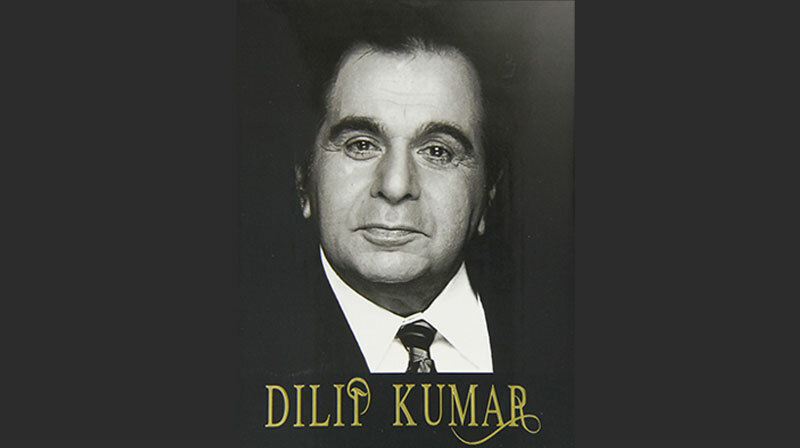 When it comes to Dilip Kumar, the image of a Tragedy King eclipses all the vicissitudes and faculties of his life. He is endowed with the marvellous features, superb delivery and wonderful expressions. There has been no match to Yusuf Khan in Indian Film Industry. As an actor he is the towering figure that loomed large over the middle decades of 20th century of Indian film industry. Respect, devotion, excellence and awe, all these words can’t do justice when we talk of LOVE that Dilip Saheb has earned in his life. Of course, he has shown his feet of clay and there were many instances of that. However, that doesn’t take away his importance as the Greatest Actor of silver screen. Dilip Saheb hasn’t been in the pink of health for quite some time now. He was detected with ‘bronchial pneumonia’ and is on medication. He has stopped work long long ago but people all over the world remember him as if he was there yesterday. In most of the gatherings when the people discuss about his health, they always urge to pray for his speedy recovery. For many of us, just his presence is blessing. He had started his career in 1944 and worked in some of the biggest commercially successful films in the period 1949-1961. He was the first actor to receive a Filmfare Best Actor Award and holds the record for most number of Filmfare Awards won for that category. Though he has done films of other genres occasionally and balanced out with roles such as the intense Andaz (1949) with the swashbuckling Aan (1952), the dramatic Devdas (1955) with the comical Azaad (1955) and the historical romance Mughal E Azam (1960) with the social Ganga Jamuna (1961), he pre-dominantly specialized in doing love stories or tragic roles from 1944-1961. From late 1960s roles dried up for Kumar as films starring Dev Anand, Rajendra Kumar and Shammi Kapoor were more successful from 1961-1969 and also Dilip’s films from 1966 to 1976 were box office flops like Dil Diya Dard Liya, Sunghursh, Aadmi, Dastaan, Gopi, Sagina and Bairaag and after 1976 he left films for a five year break. After Rajesh Khanna became first superstar of Indian Cinema in 1969, most of the author backed lead roles from 1969-1991, went to Rajesh Khanna. In 1981 Dilip returned with a character role at insistence of Manoj Kumar in the blockbuster film Kranti and continued his career playing central character roles in multi-hero films such as Shakti (1982), Karma (1986), Vidhaata, Mazdoor, Mashaal, Duniya, Dharm Adhikari, Kanoon Apna Apna, Izzatdaar, Saudagar (1991), Qila. But his only films to be successful from 1981 at box office were Kranti, Vidhaata, Karma, Dharm Adhikari, Kanoon Apna Apna and Saudagar. He has retired from the Indian Film Industry in 1998. Dilip Saheb was born as Muhammad Yusuf Khan in Qissa Khawani Bazaar in Peshawar now in Pakistan in a Hindko speaking Awan family of twelve children. His father Ghulam Sarwar was a fruit merchant and owned large orchards in Peshawar and Devlali in Maharashtra near Mumbai. The family had relocated to Mumbai in 1930s. In the early 1940s Yusuf Khan moved to Pune and started off with his canteen business and supplying dry fruits. He was spotted by the leading actress Devika Rani who was the wife of the founder of Bombay Talkies Himanshu Rai. She had helped Yusuf Khan’s entry into the Bollywood film industry. She also gave him the screen name of Dilip Kumar. His first film Jwar Bhata that was released in 1944. Dilip Saheb successfully played tragic love story roles in hit films such as Nadiya Ke Paar (1948), Mela (1948), Andaz (1949), Jogan (1950), Babul (1950), Arzoo (1950), Deedar (1951), Tarana (1951), Deedar (1951), Daag (1952), Shikast (1953) which earned him the title of “Tragedy King”. Some of his most famous films in tragic roles were box office flops like Amar (1954), Devdas (1955), Dil Diya Dard Liya (1966) and Aadmi (1968). Madhumati (1958) gave him Filmfare Award for Best Actor. In 1960 he starred in the historical film Mughal-e-Azam opposite Madhubala, which is as of 2008, the third highest grossing film in Hindi film history in which he played the role of the Mughal (crown-prince) Jehangir the son of Akbar. In 1961 he produced and starred in the hit Ganga Jamuna in which he and his real Life brother Nasir Khan played the title roles. Despite the film success he did not produce any film after this. Dilip Kumar married actress and “beauty queen” Saira Banu in 1966 when he was aged 44 and she was 22. At the time, gossip columnists predicted doom for the high-profile couple, but the marriage survived all the storms. According to reliable reports, Dilip Kumar was engaged to be married to Madhubala. However, it was rumoured that the two broke up due to Dilip’s ego issues. Apparently, Madhubala wasn’t being allowed to shoot at a particular location and the producer of the film had asked Dilip to convince her father. He tried to do so but failed and the actress refused to disobey her father. When it came to their marriage, Madhubala asked him to apologise to her father but Dilip refused to so and the two broke up. Madhubala was reportedly madly in love with Dilip Kumar and was apparently very sad when he got married to someone else. How tragic it is that the man who thrilled the audiences for 5 decades is compelled today to beg the Prime Minister of India for protection in the twilight of his life??? Saira Banu, his wife, said on Tuesday that she was yet to meet Prime Minister Narendra Modi to discuss the release of builder Samir Bhojwani, who had falsely claimed ownership of two plots on which Dilip Kumar’s bungalow was built. On Sunday via Dilip Kumar’s official Twitter account, Ms Banu has requested a meeting with the prime minister in the wake of Samir Bhojwani’s release. The former actor said she was unable to meet the prime minister when he was on a one-day visit to Maharashtra on Tuesday but she plans to follow up with the matter. “I did not meet the prime minister here as he has been busy. But I have learnt that his office has asked people here to look into the matter. I have tweeted about it. “I will meet him in Delhi if needed. I have no idea how I will follow this up. But I will follow it up,” Ms Banu, 74, told PTI.